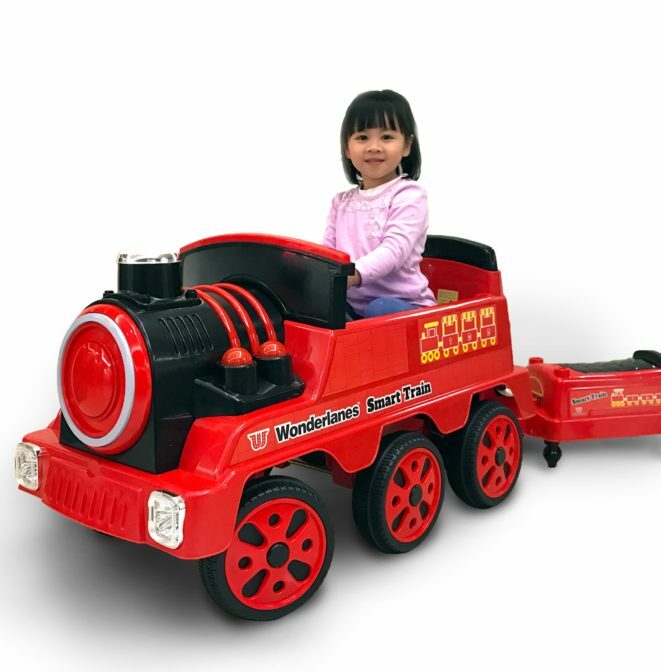 Get ready to give your child an exciting ride with this Wonderlanes Train Ride-On! With the 12 Volts Battery Powered, it can reach a maximum speed of 2.4 mph. 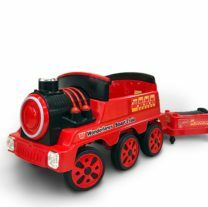 Features a Detachable Wagon for Storage, working Head Lights & Electronic Sound Effects, Two Forward & One Reverse Gears. Comes with 12V Rechargeable Battery and Charger. Perfect for children ages 3 and up, with a maximum weight limit of 66 pounds.